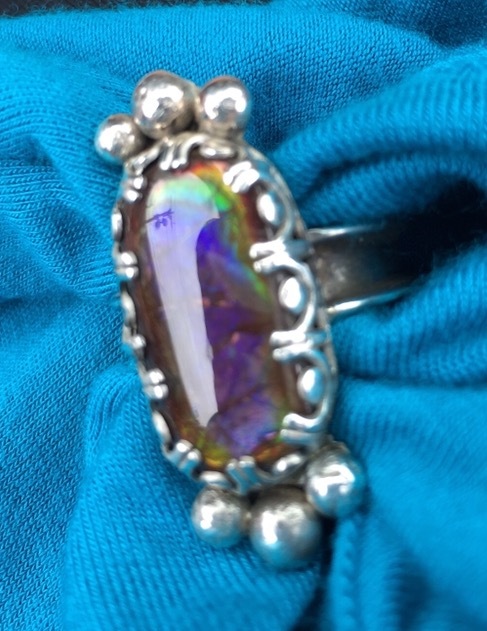 This exquisite stone is both lovely and rare, found only in BC, Ammolite is an opalization of the ammonite fossil. 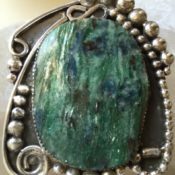 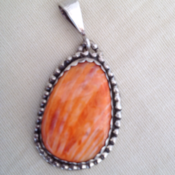 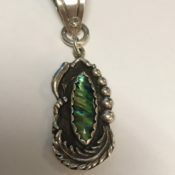 This gorgeous stone is very simply set in sterling gallery bezel. 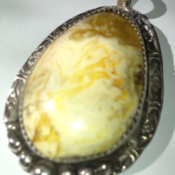 When you see this stone in the sunlight you will never forget it.